The law firm of Zoll & Kranz, LLC has filed another lawsuit on behalf of two more people alleged to be wrongly diagnosed with Alzheimer’s disease and depressive pseudodementia. Today, September 12, 2016, the Complaint was filed in the Court of Common Pleas for Lucas County, Ohio under the case # G-4801-CI-0201604211-000. The Complaint alleges that in the case of the two plaintiffs, one was wrongly diagnosed with Alzheimer’s disease and the other plaintiff was wrongfully diagnosed with depressive pseudodementia. In both of these situations, and others that have recently been filed, Sherry-Ann Jenkins, The Toledo Clinic and Oliver Jenkins are listed as Defendants. According to the complaint, Sherry-Ann Jenkins, Ph.D., was The Toledo Clinic’s Cognitive Center’s director and she was ordering medical imaging tests under her husband’s, Oliver Jenkins, MD., ordering privileges even though he never treated these Plaintiffs. The Complaint alleges, she then continued to read the scans and provided the diagnoses that are now known to not be accurate. The complaint explains how both Plaintiffs and their families reacted to the diagnoses and began to make arrangements for their mental decline. 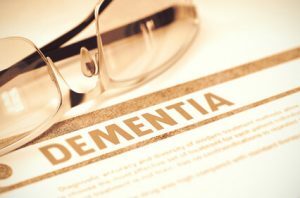 According to the complaint, through second opinions both of them were found to not have depressive pseudodementia or Alzheimer’s disease. The attorneys at Zoll & Kranz, LLC are concerned that there are even more victims of this scheme and may not even realize their diagnosis is false. They urge anyone treated at The Toledo Clinic Cognitive Center seek second opinions from a qualified doctor. If someone would like to talk to the investigatory team at Zoll & Kranz they may call 419-841-9623 or visit our website at www.toledolaw.com for more information.